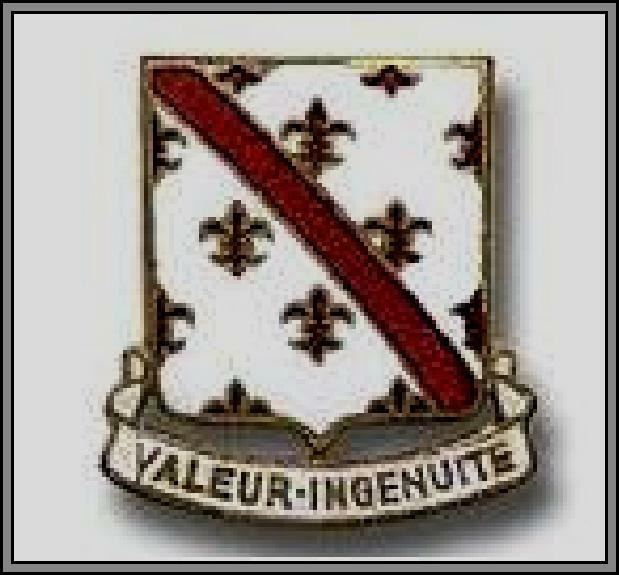 70th Combat Engineers the article below is one of the few that does. Page 1 of 4. 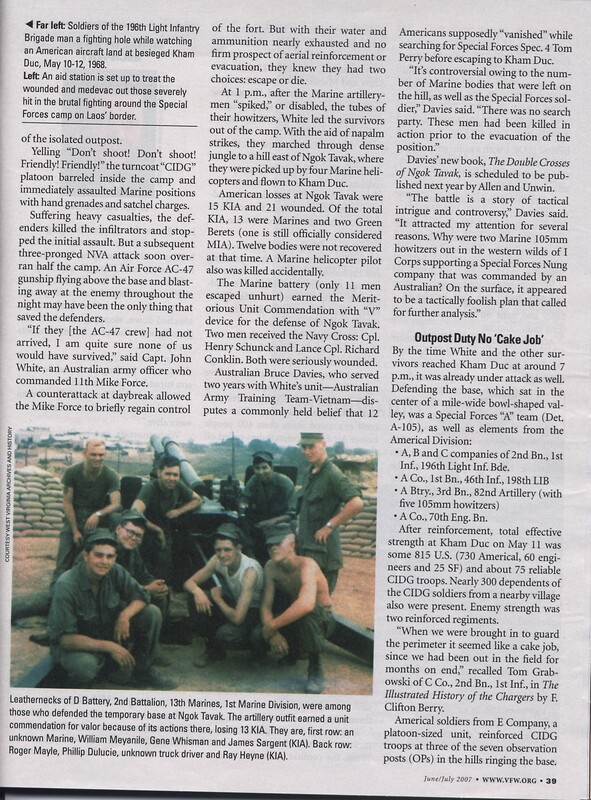 "Fierce Fight at Kham Duc"
Page 2 of 4. 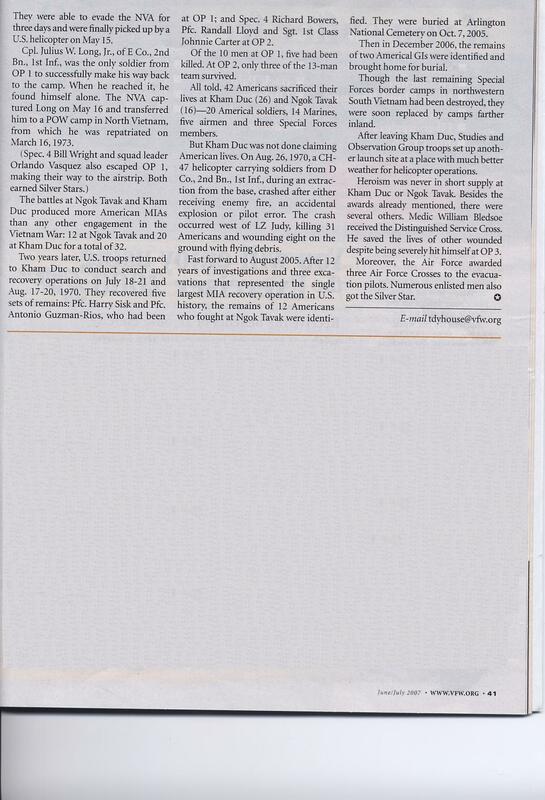 "Fierce Fight at Kham Duc"
Page 3 of 4. 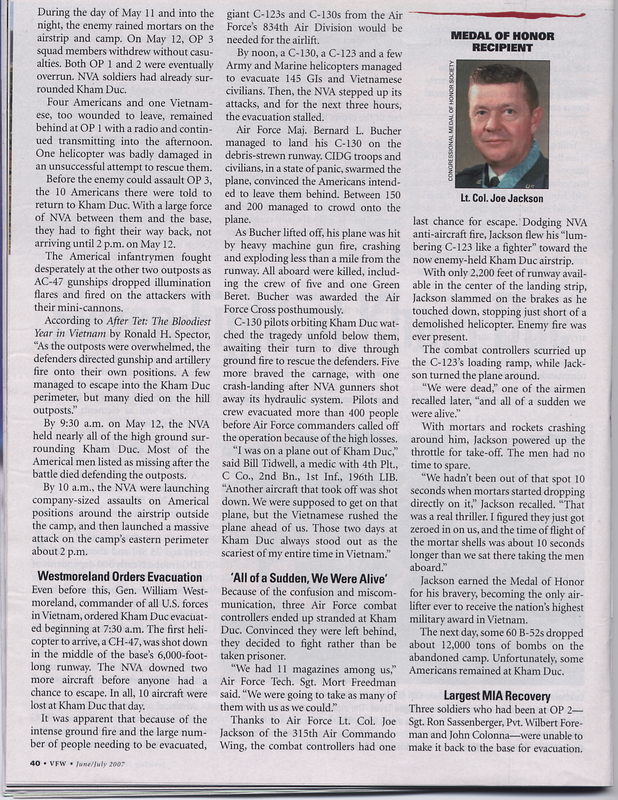 "Fierce Fight at Kham Duc"
Page 4 of 4. 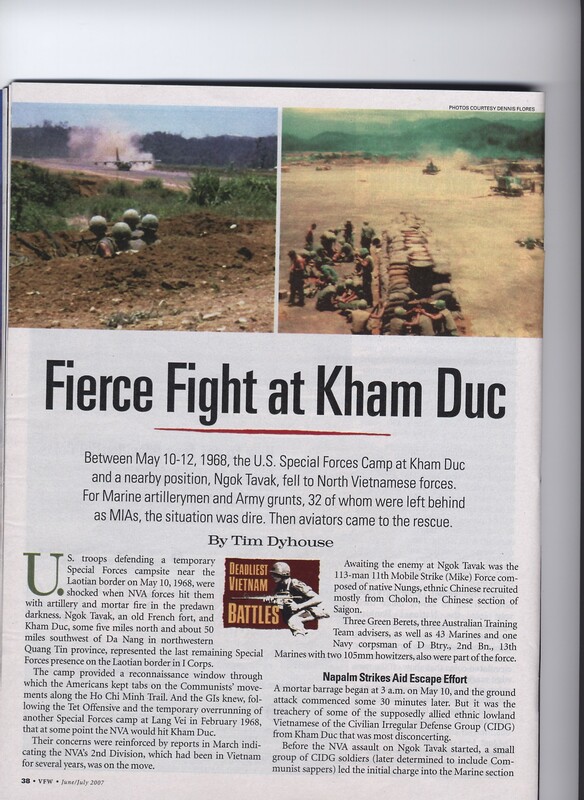 "Fierce Fight at Kham Duc"